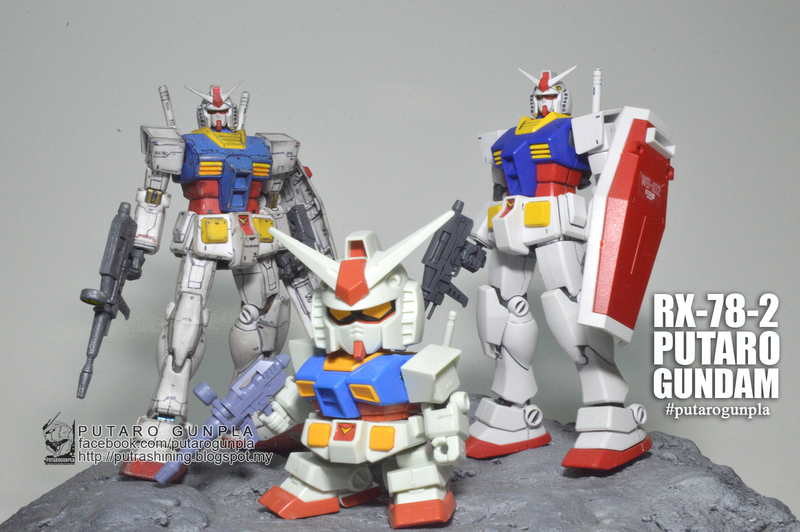 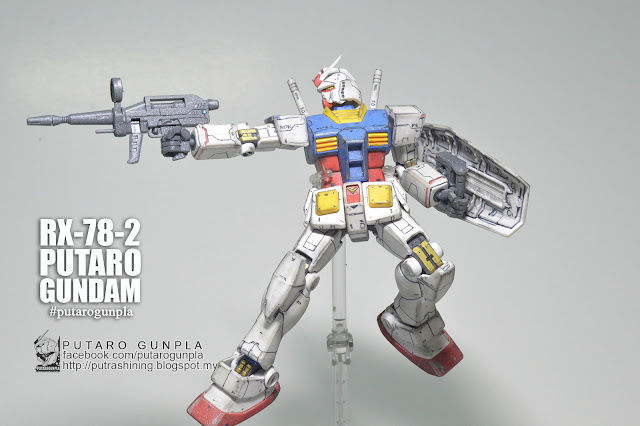 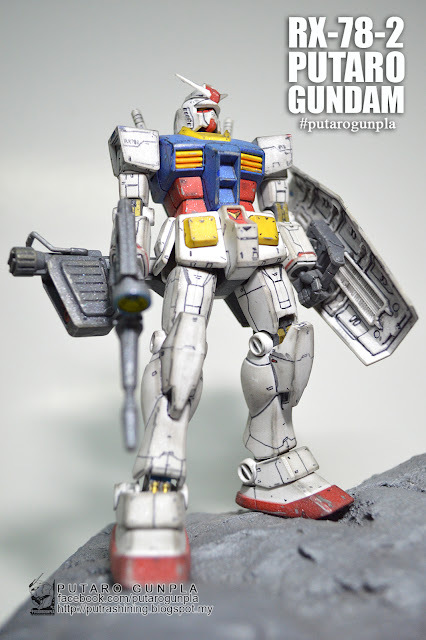 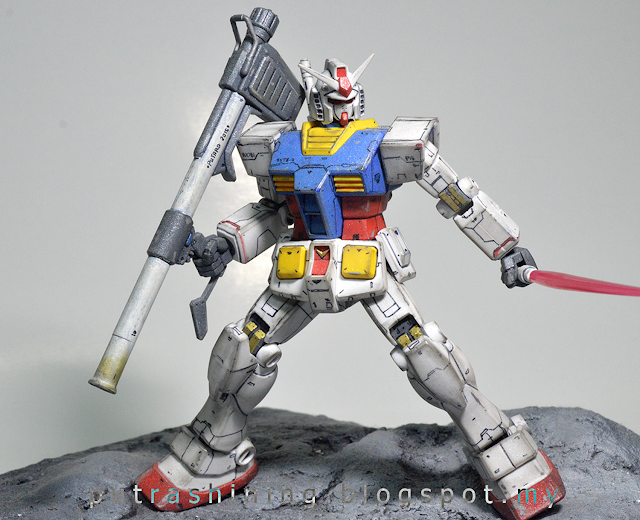 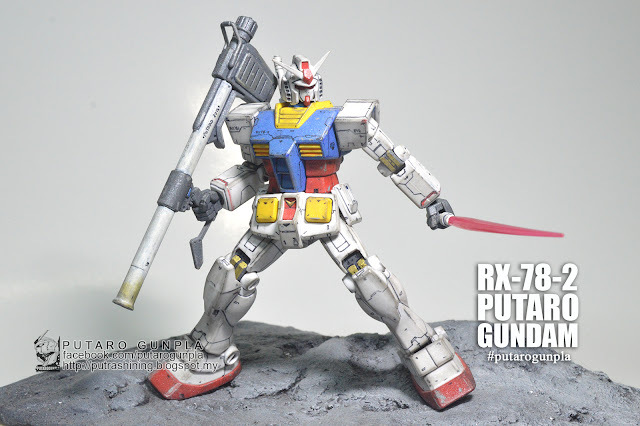 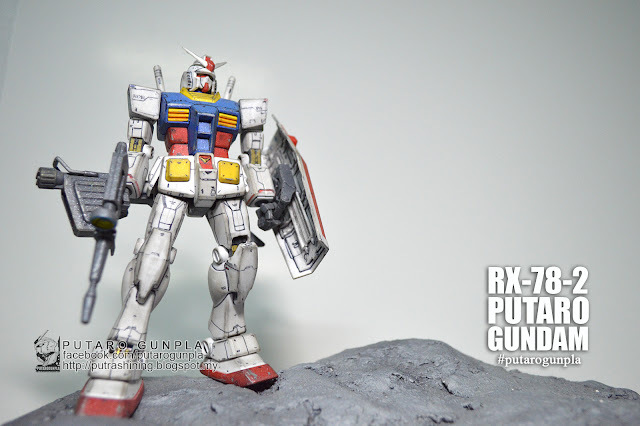 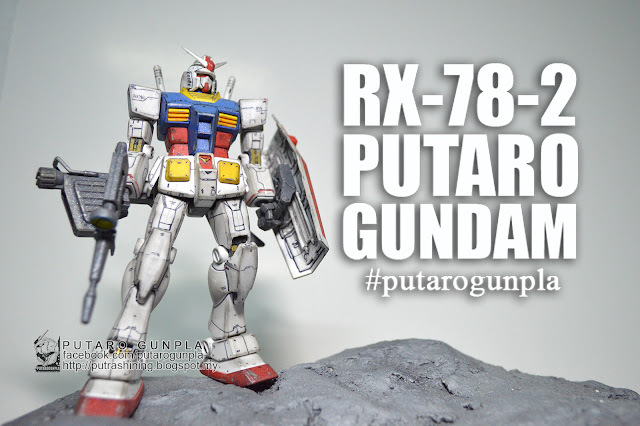 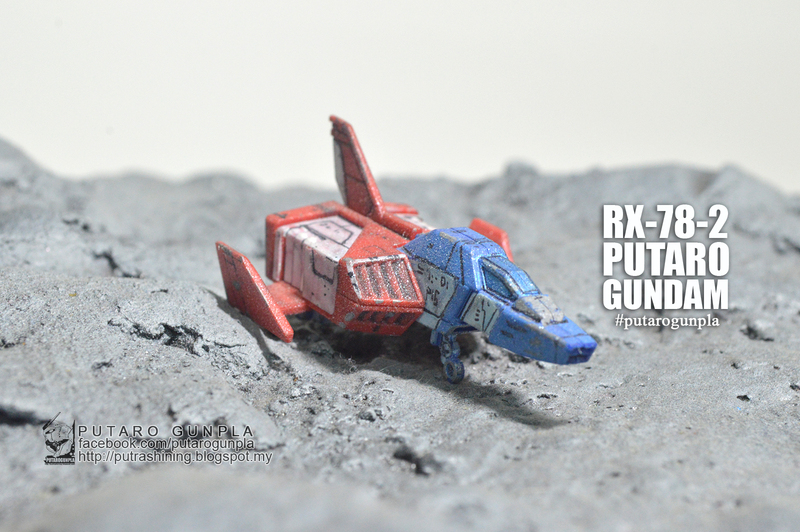 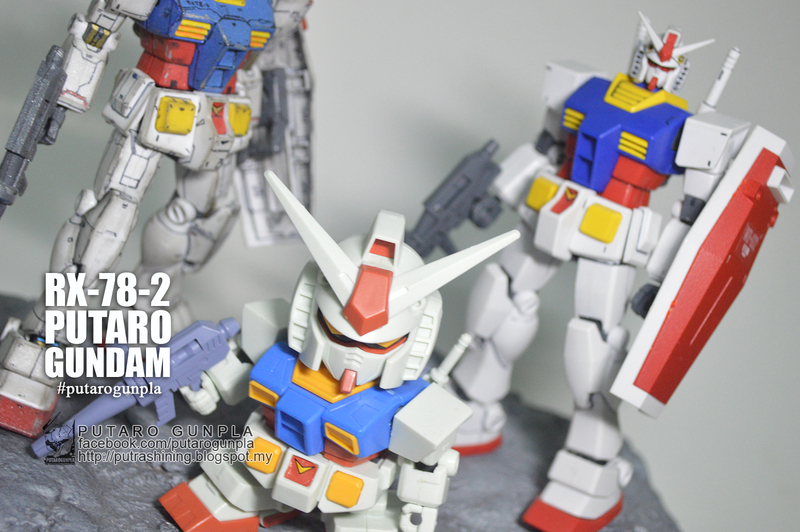 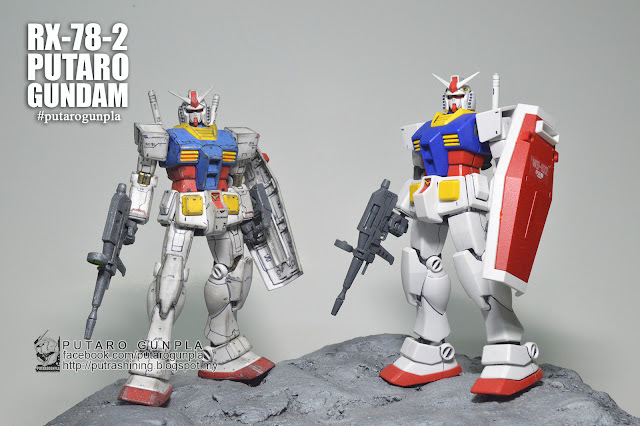 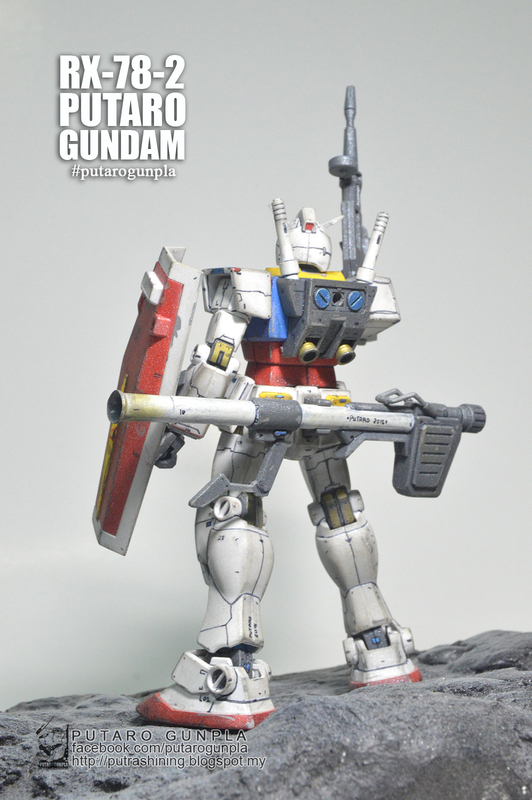 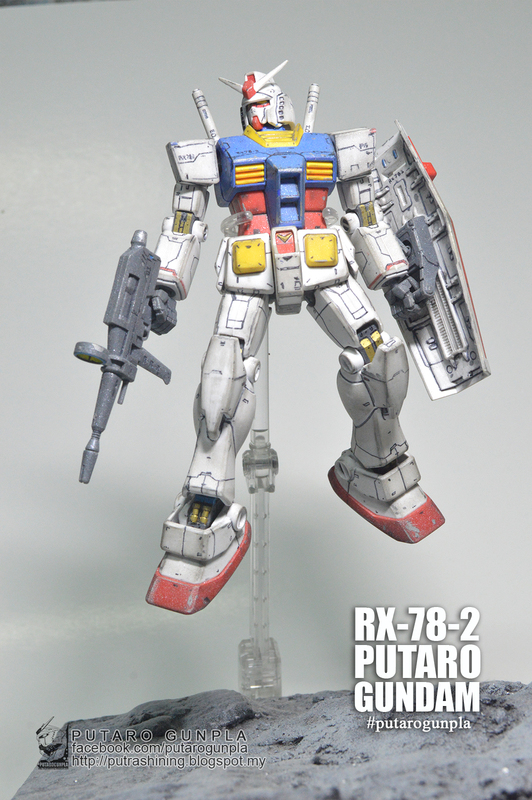 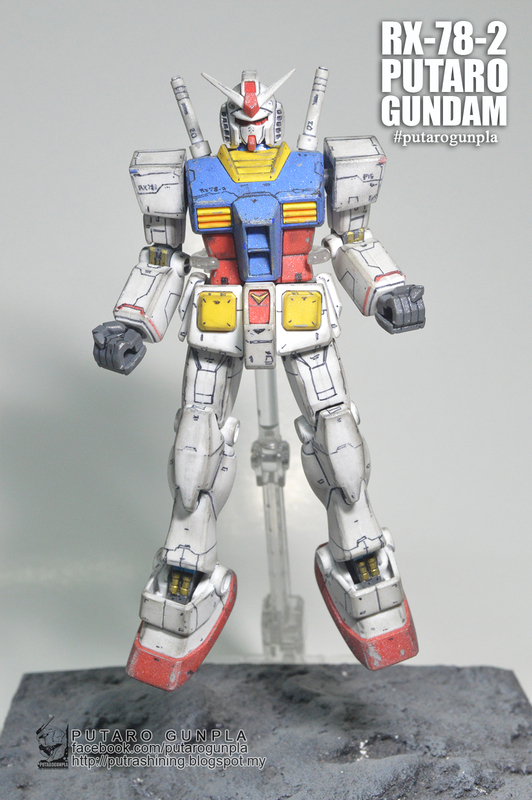 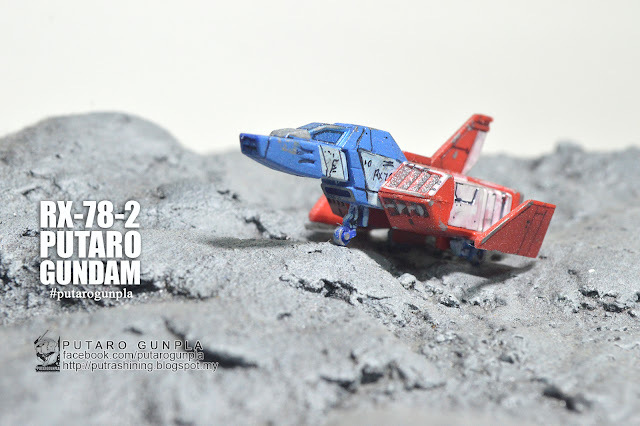 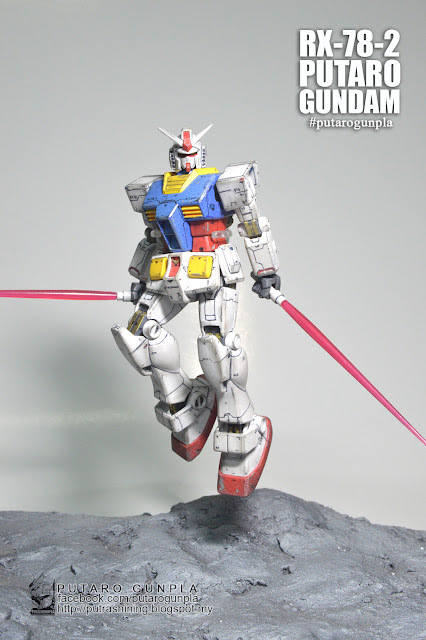 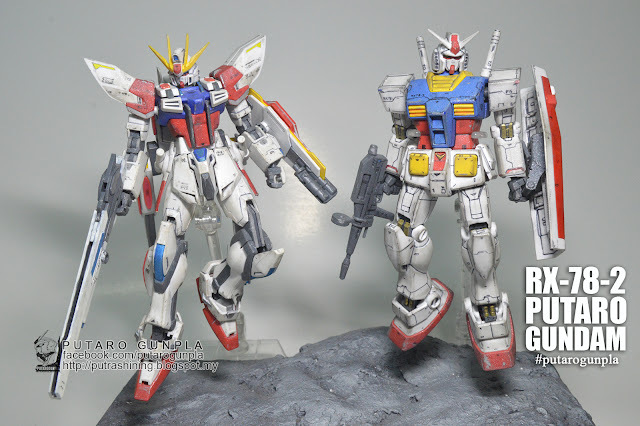 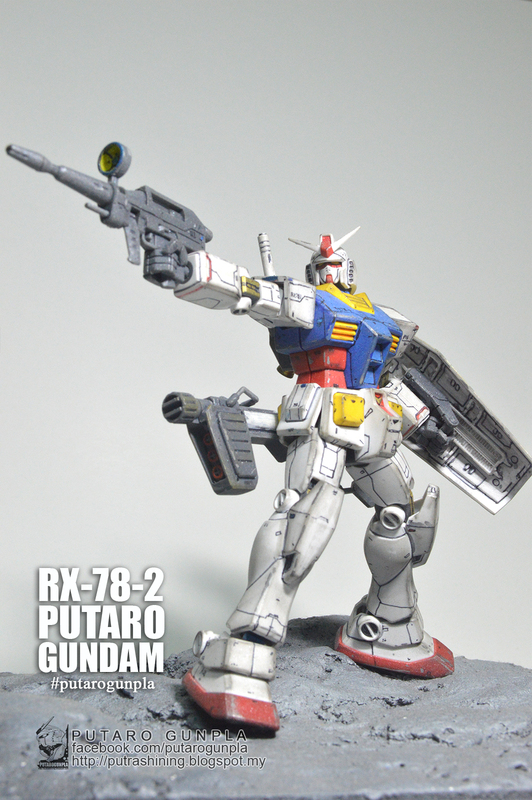 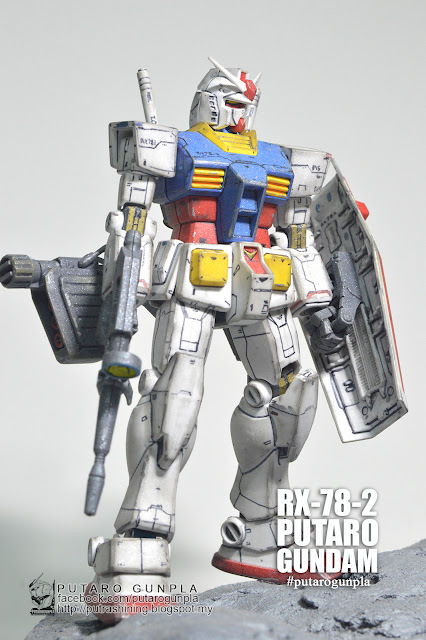 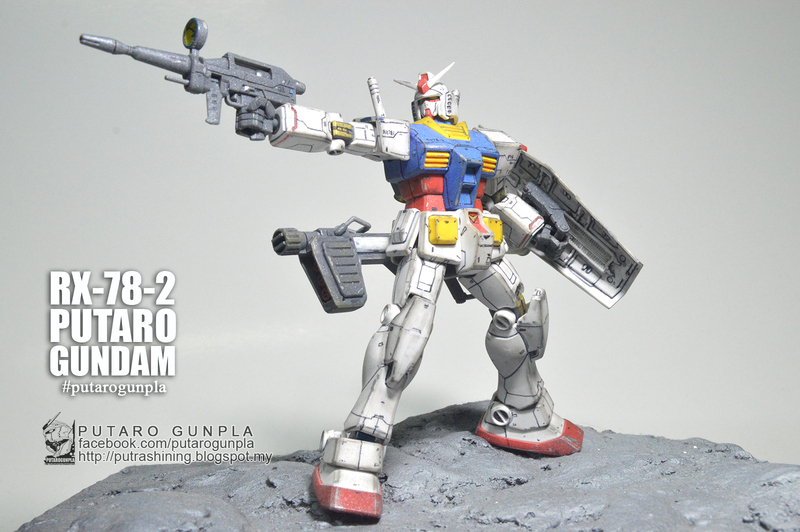 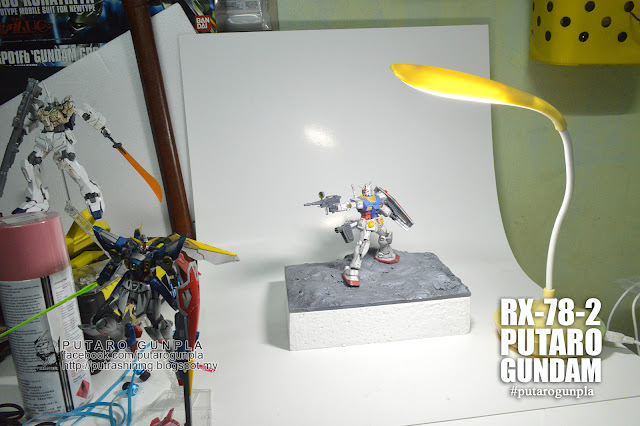 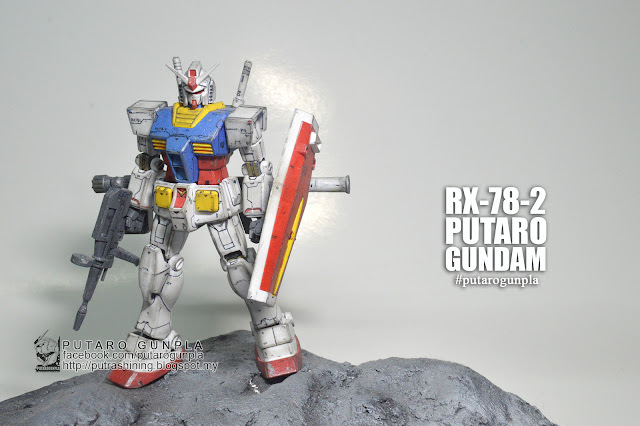 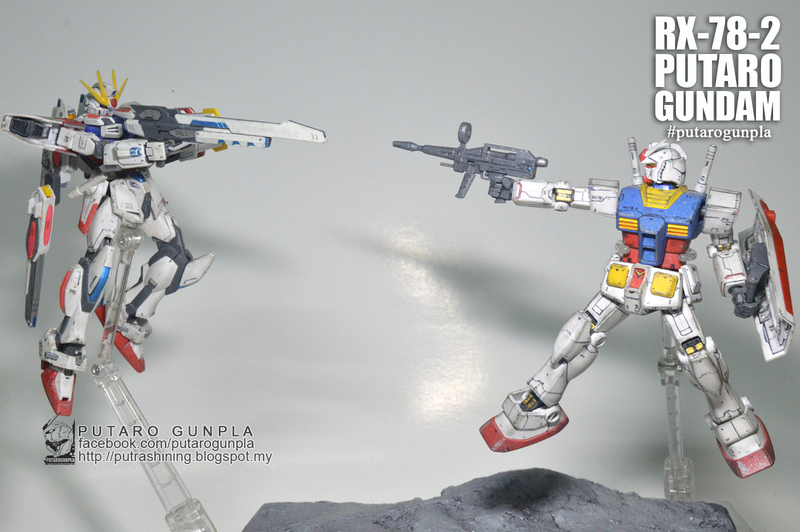 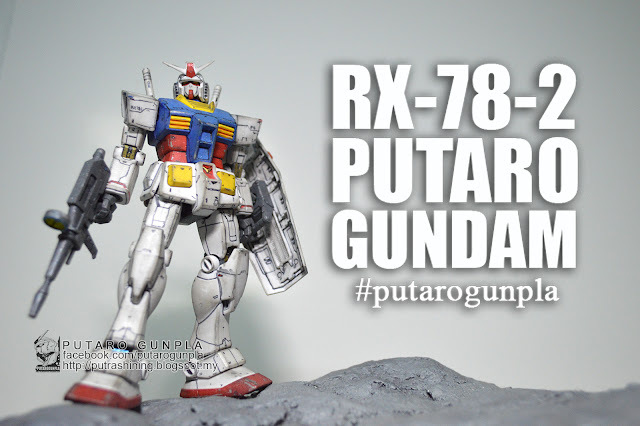 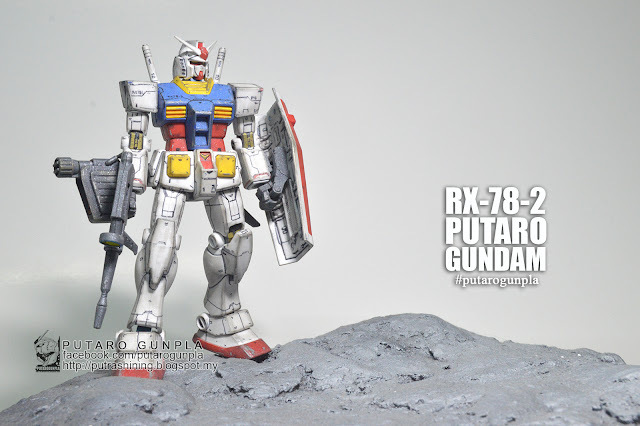 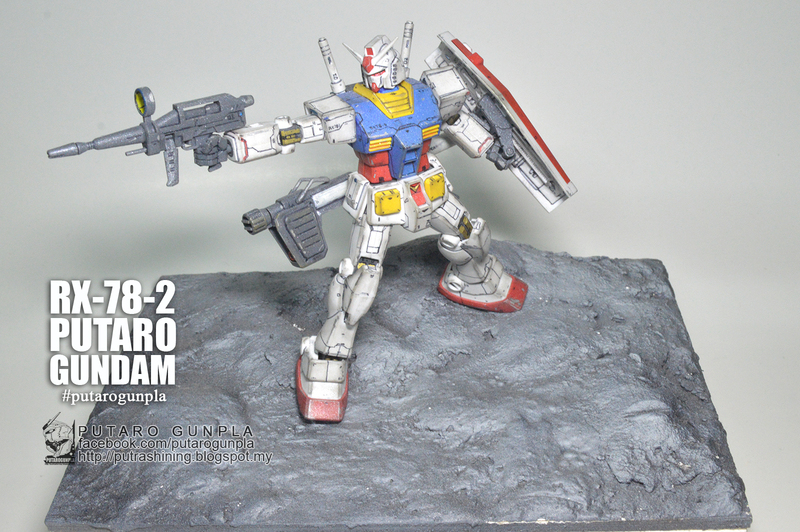 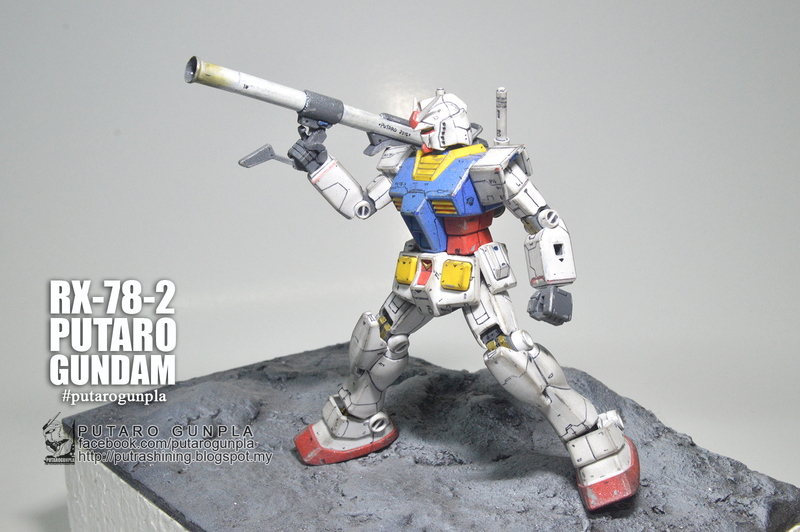 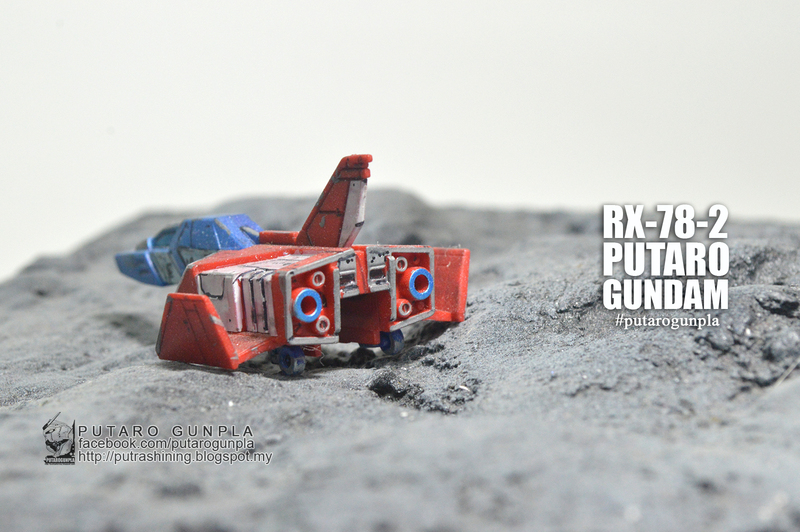 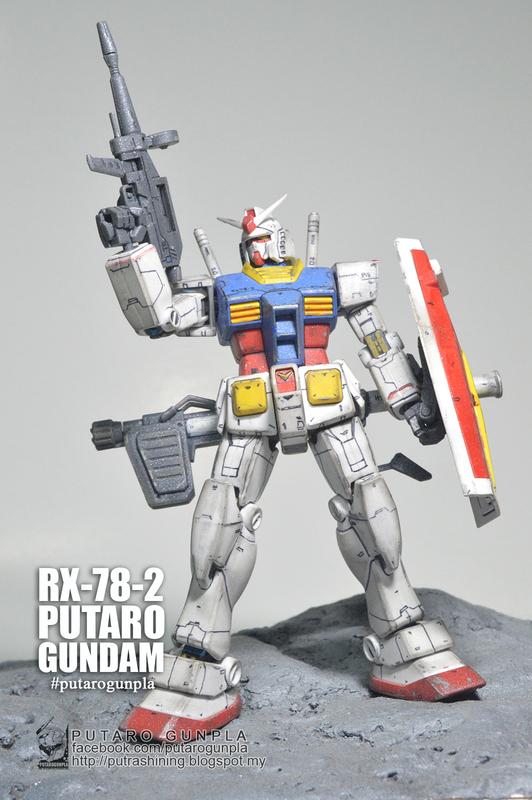 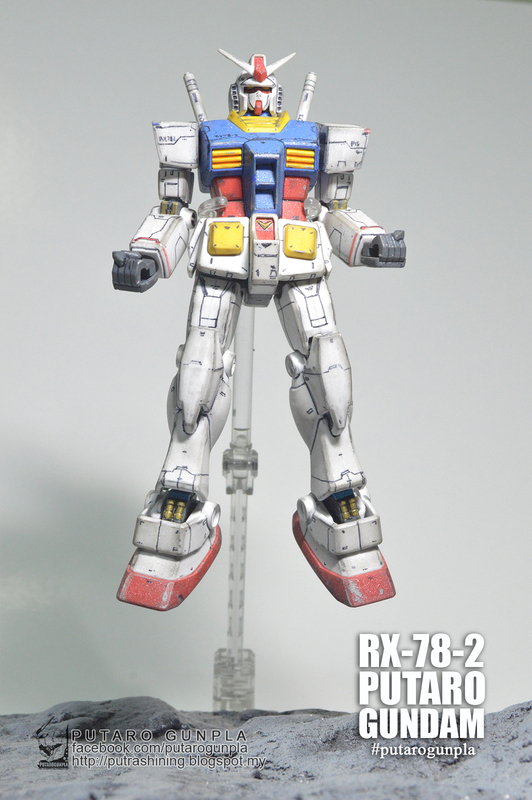 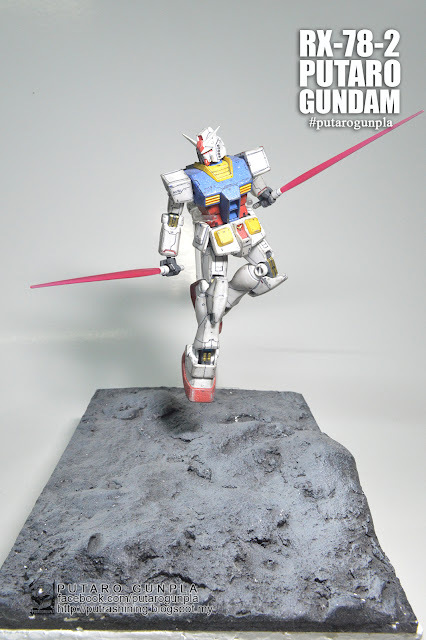 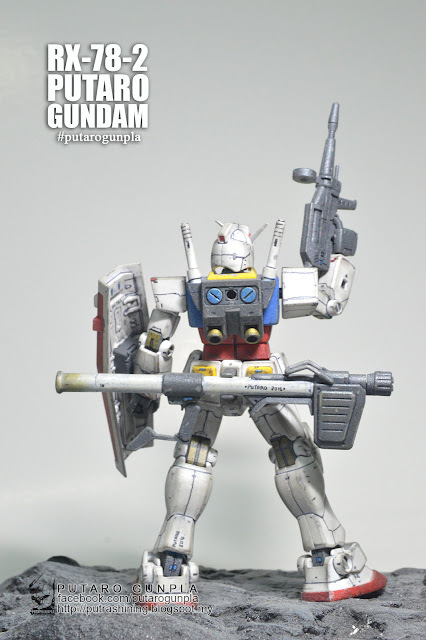 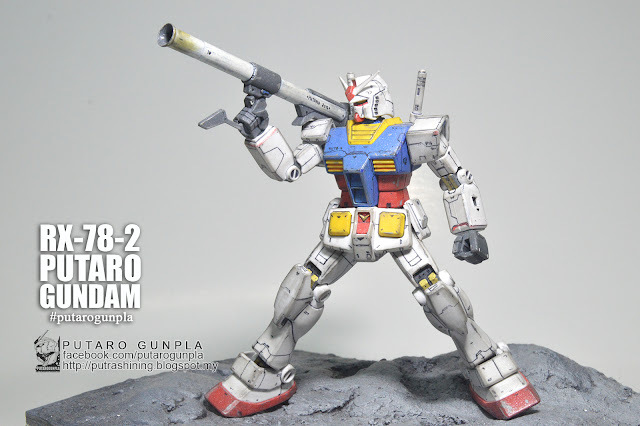 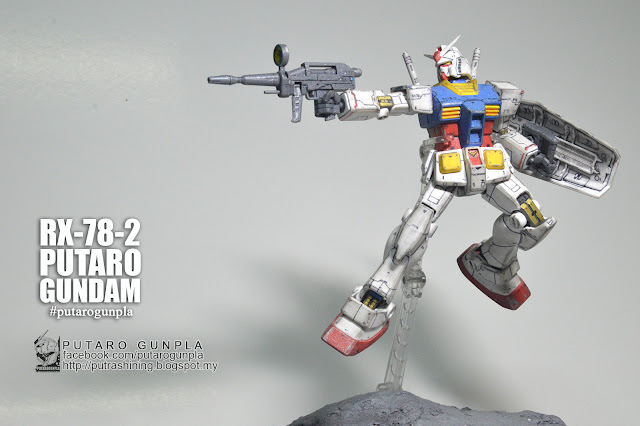 An old HGUC RX-78-2 work done by Putra Shining before this blog born. 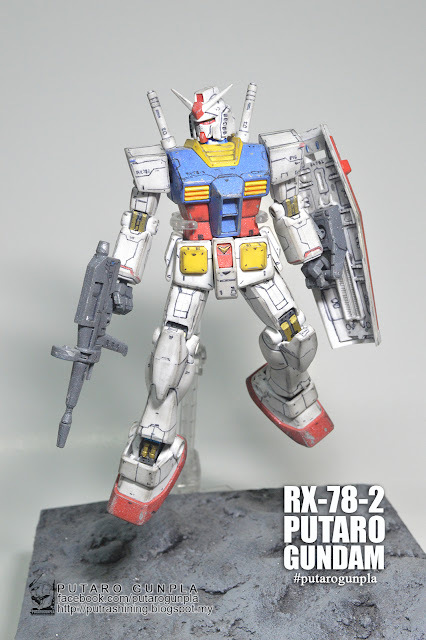 "Hi, have you seen this kit somewhere? Yup, maybe yes at MGAF. 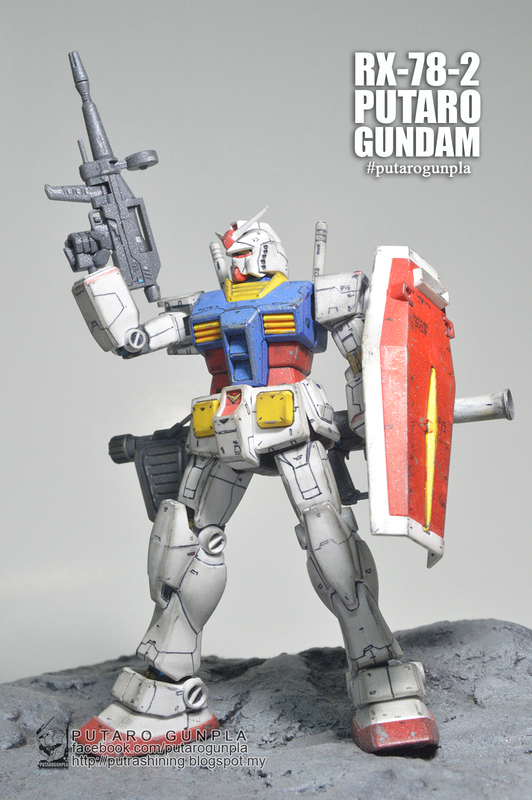 This kit is an old work that I've done to make it look like a comic style but in my own style. 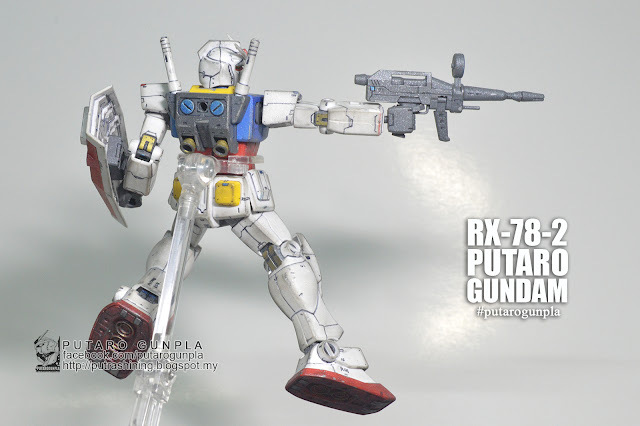 I really like RX-78-2, maybe because it's design and the colors. I really like what i have done to this kit, just draw some lines at the surface and spray some glimmer dust with spray can to make it exclusive. 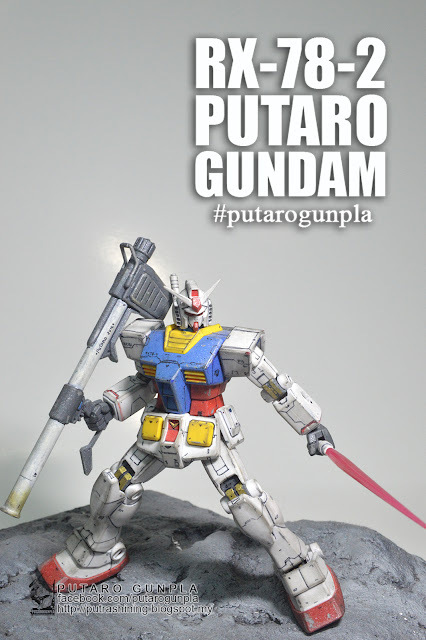 I hope you guys like it. 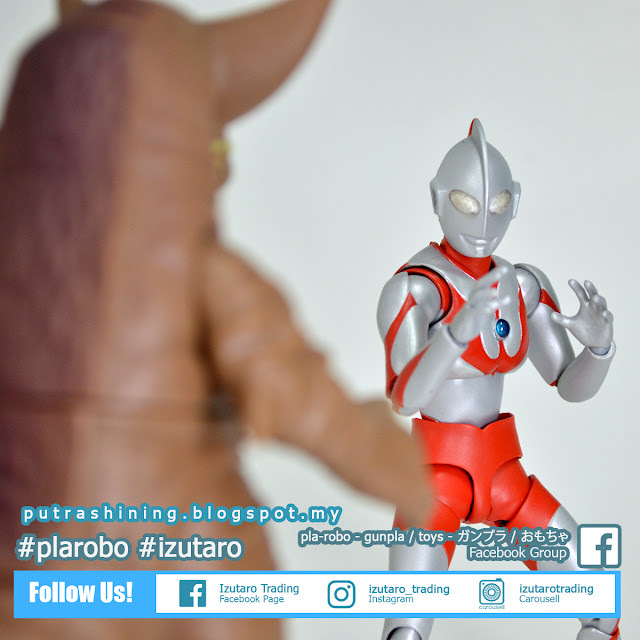 Just want to share it, if you like, and you guys want to try it, go ahead, we learn together and we share. 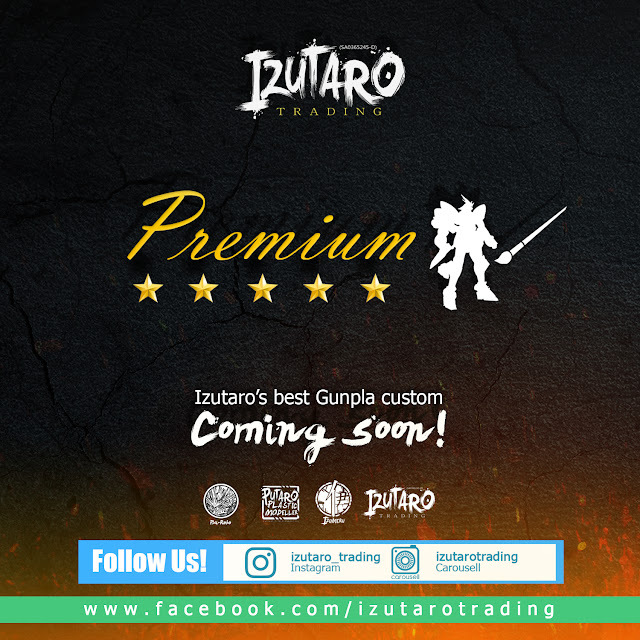 Thanks for view Putaro Gunpla." Have you watch the G-SELF CUSTOM REVIEW ON YOUTUBE? 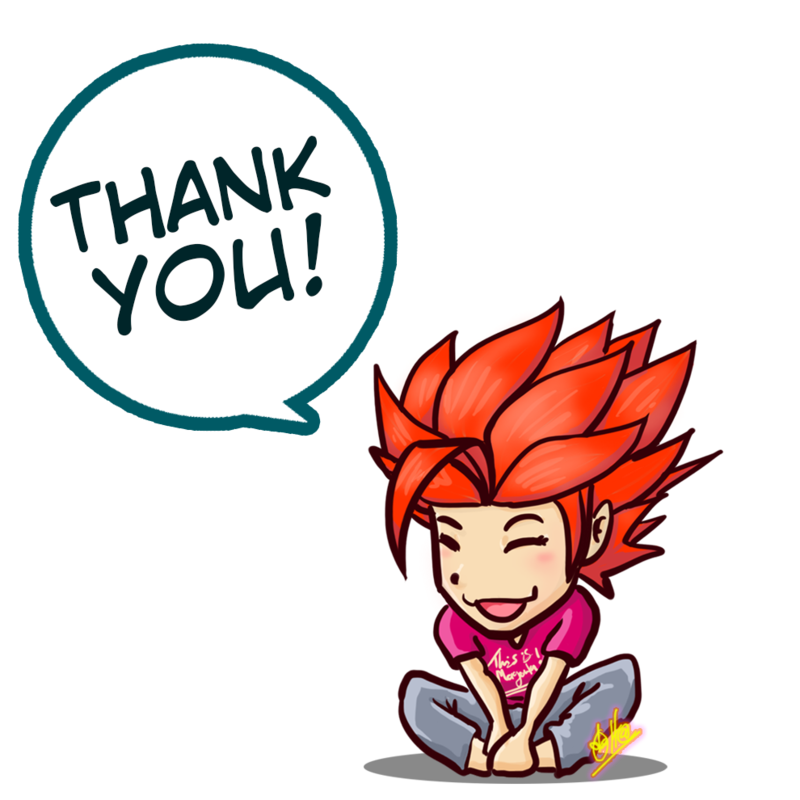 Yes, we got a small channel now, called PUTARO SHINING come visit! and don't forget to subscribe! 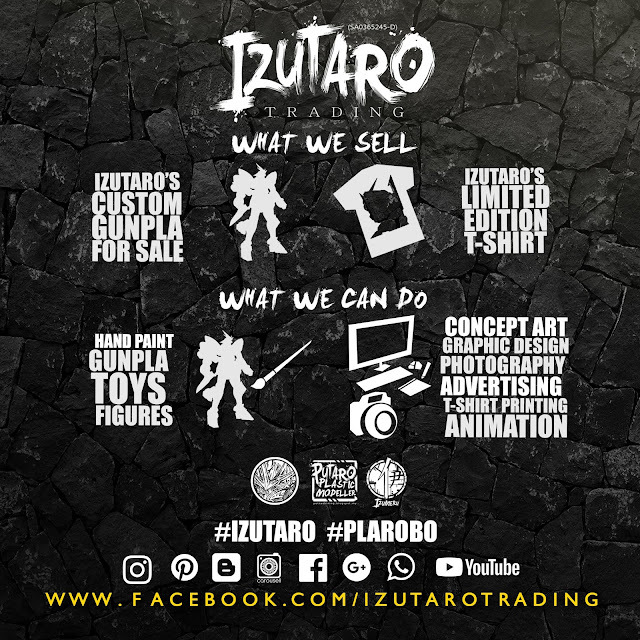 By the way, come visit Izumeru's blog!